PRESIDENT Robert Mugabe has suggested Sadc should adopt forced HIV and Aids testing to curb the endemic because those who are volunteering to be tested are not necessarily the infected people. Addressing heads of states and government at the 33rd Sadc summit in Lilongwe during the Aids Watch Africa meeting yesterday, Mugabe said Sadc should come up with methods to compulsorily test everyone in the battle to stop the spread of the disease. 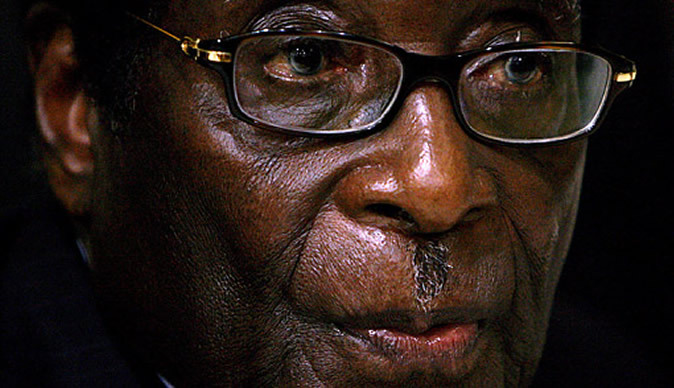 “While there is need to respect rights of individuals, there is need to subject everyone to examinations because those who volunteer are not the ones who have been infected,” Mugabe said. Mugabe also urged Sadc member states to adopt an Aids levy which goes a long way in purchasing of anti-retroviral drugs and support for the orphans. “In my country we are paying a levy, a small percentage, but it goes a long way in making sure that the drugs are found as demand increases,” he said. However, the new Sadc chairperson, Malawian President Joyce Banda, said if the regional bloc adopted the Zimbabwean approach, then some would not be elected come election time in their countries for introducing high taxes. There was drama as Mugabe almost missed the meeting and appeared half an hour later while the proceedings were underway. Justice minister Patrick Chinamasa, Foreign Affairs minister Simbararshe Mumbengegwi and Central Intelligence Organisation boss Happyton Bonyongwe held an impromptu meeting and decided Mumbengegwi should stand in for Mugabe who did not show up on time. Confusion reigned supreme as no communication was sent to the delegation by presidential spokesperson George Charamba. However, when he finally arrived, a visibly tired Mugabe stole the media limelight as attention was directed at him as he struggled to walk. Heads of states and governments were treated to a banquet at State House on Saturday night.